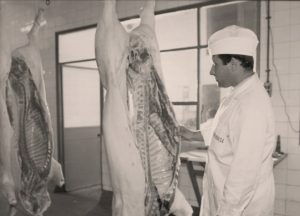 Famadesa is a leading Company of the international meat sector, able to produce and export products derived from white pork to the five continents and with more than 40 years of experience. Famadesa also supports a production based in the sustainable development and in technical means that allow the environmental conservation. And it makes its products gluten-free. 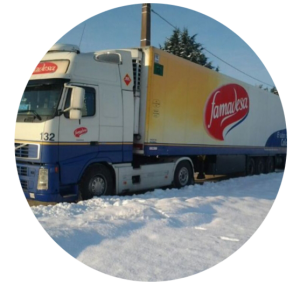 Famadesa has successfully launched to foreign market and has evolved to become into a reliable provider of the leading wholesalers and distributors worldwide. 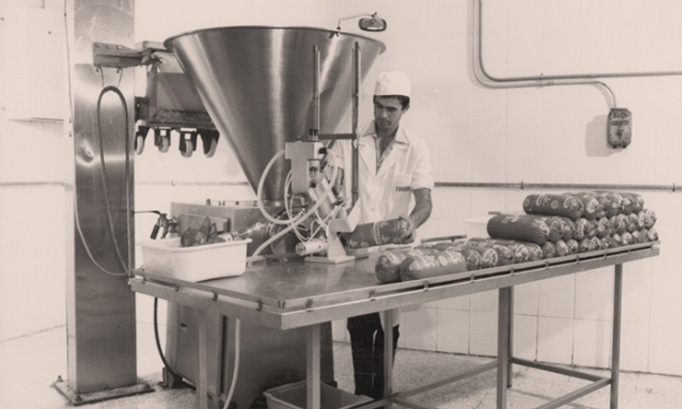 In the last years, the company has given a new impetus by starting its export activity. Since then, the sales in foreign countries have been the growth engine of the company, which is already present in other markets like the European Union, Russia or Africa. 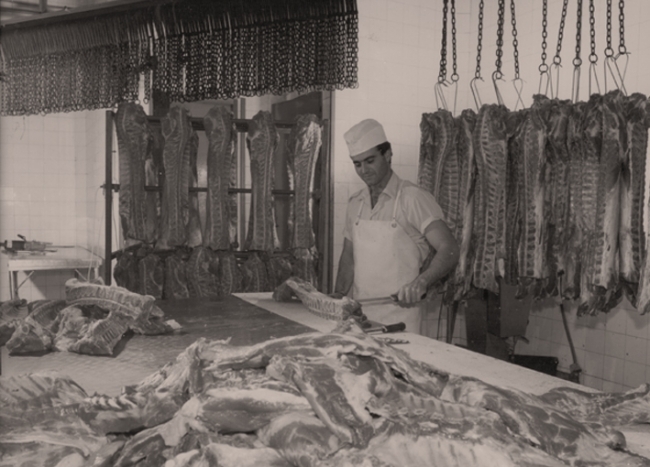 Famadesa emerged in 1970 from a small slaughterhouse located in Campanillas (Malaga, Spain). 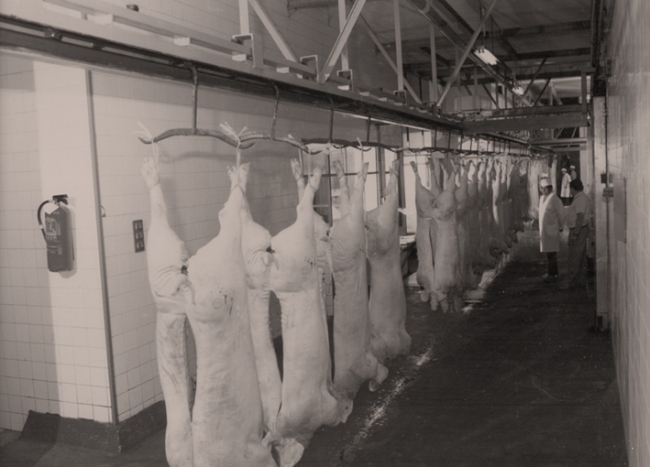 The gradual increase of the production and the sales forced to create a second slaughterhouse in 1997. Federico Beltrán is a referent in the entrepreneurship of southern Spain. Besides of creating one of the leading meat companies in the country, he also has been president of the Football Club of Malaga, councillor in the City Council and advisor of the bank entity Unicaja. Famadesa has built its success in a comprehensive control of the production, since it executes with own resources all the stages of the process: produces feed, owns fattening farms, slaughterhouse, drying shed and distribution network. Thanks to these means it has become in a maximum guarantee provider to distributors worldwide. Its commitment is based on work, responsibility and continuous learning, and it has a team of professionals able to use view, vocation and common sense. 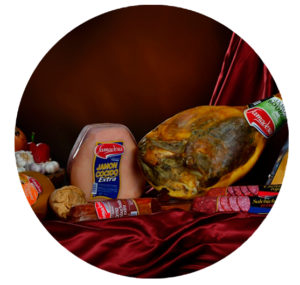 Since 2010, Famadesa is present worldwide, becoming in one of the leading exporters in its sector. About 40% of its sales are destined to foreign markets. 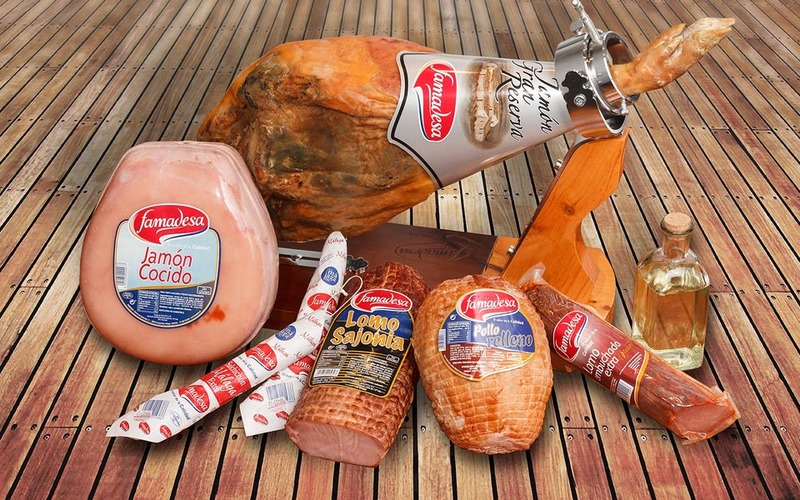 Although it is known as slaughterhouse and manufacturer of products derived from pork, Famadesa is also a business group that includes eight companies of the food and agriculture sector. With this entire framework, it generates 1,000 of direct employees nowadays. 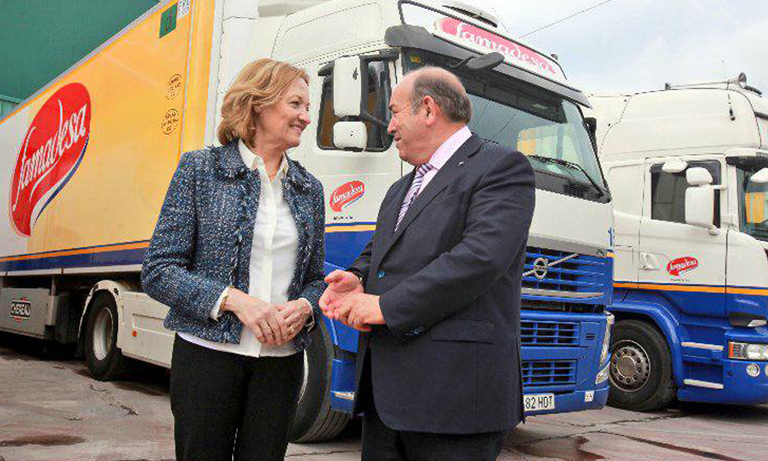 It has a fleet of over 100 trucks all over Spain and specific vehicles for the transport of livestock and feed. The production capacity of Famadesa exceeds the 1,100,000 pig slaughter each year. 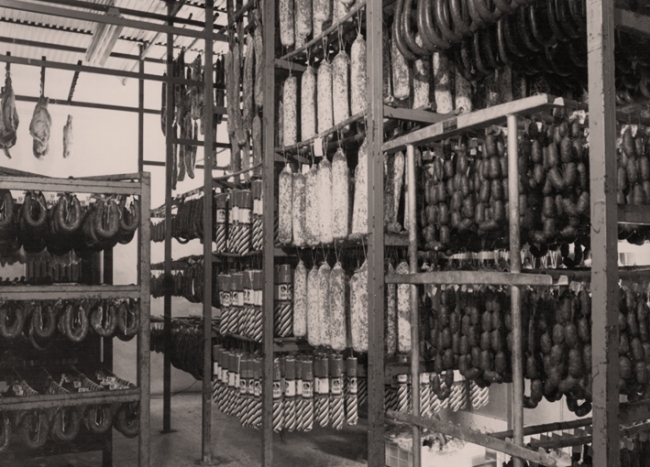 5,000 tons of sausage and more than 200,000 pieces of cured ham are produced each year in its factory. In the last years, the growth of the company is given by the opening of new markets, above all in Asia and Eastern Europe, with China and Russia leading respectively. 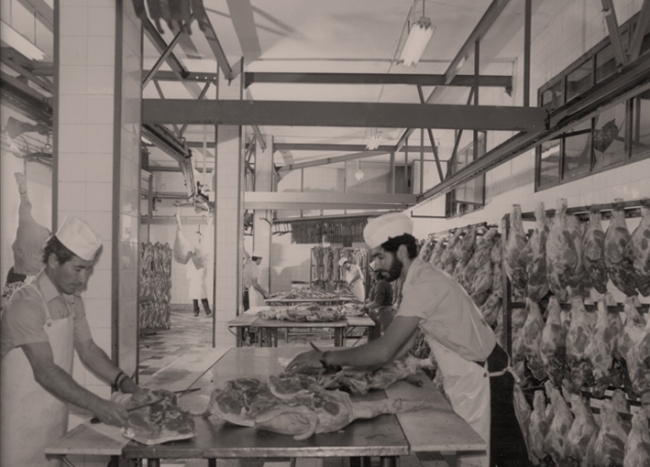 Exports mean today more than 40% of the sales and, in order to reach a better position in these countries and to spread to others nearby, it has been undertaking performances worth 4 million euros. 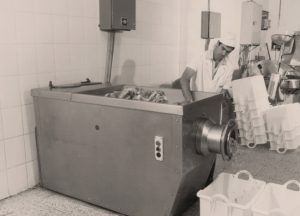 The result of all this is a turnover exceeding 200 million euros (year 2013), with annual increases from 5% to 10% in the last fiscal years. 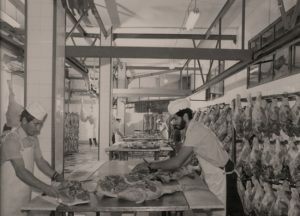 The first one, located in the city of Malaga with an area of more than 10,000 square meters, carries out the activity of pork slaughterhouse and cutting plant and store of meat. Next to it, there is another plant destined to the activities of salting and drying of hams. 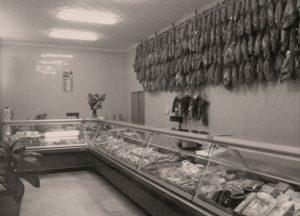 It has an approximate area of 2,700 square meters. 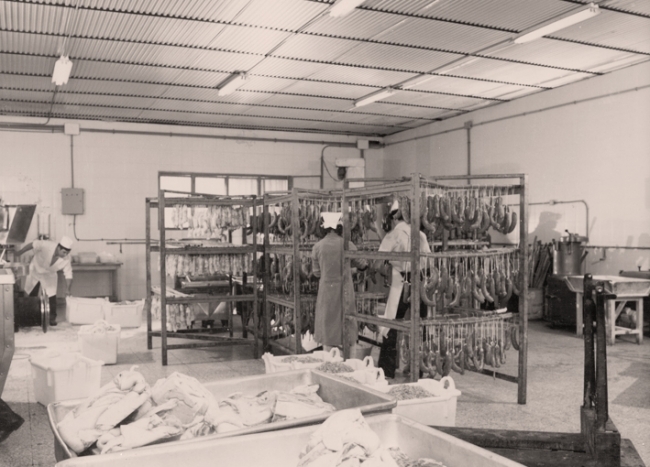 The third plant develops the activity of manufacturing, packaging and distribution of meat products and meat preparations. 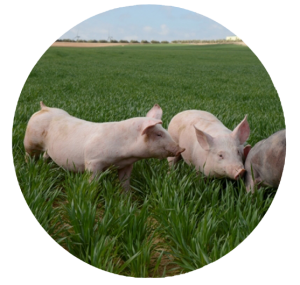 The group completes its implementation with the facilities of the following companies: Jamones Alameda, Carnes y Ganados Andalucía (Sierra de Yeguas), Almargeña de Integración, Agropecuaria Campanillas, Cárnicas Humilladero and Transportes Famadesa. 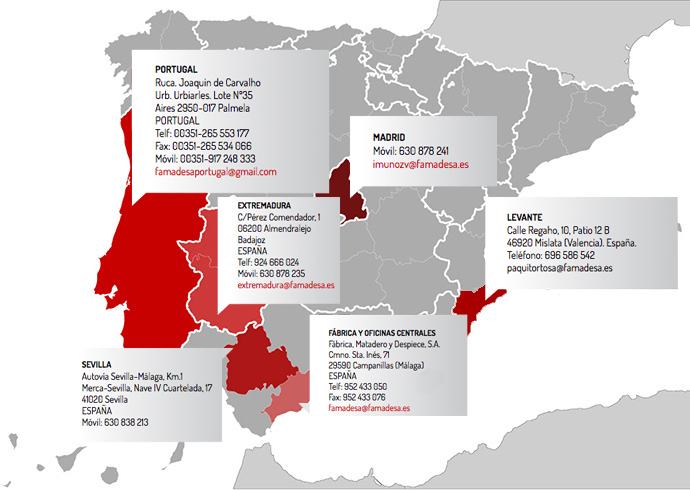 Additionally, there are offices in Madrid, Almendralejo (Badajoz), Seville, east of Spain area and Portugal.